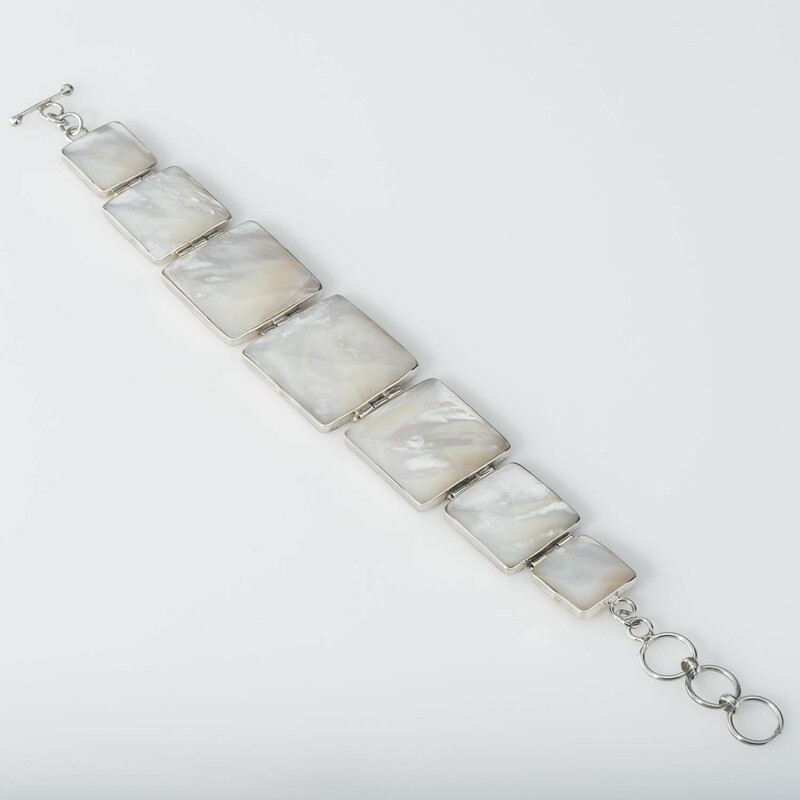 The unique mother of pearl bracelet is a part of a collection of bracelets for women at Artyogi. The multi-piece sterling silver bracelet is meticulously handcrafted jewelry well put together by a Balinese artisan. Mother of Pearls are known for their iridescent shine and natural beauty. The classy simple design make it the perfect accessory for any occasion. Embedded in square charm and linked together to create an elegant beautiful piece.